Brian, as you have noticed, posting something here on the Forum isn't always the best way of attracting interest in an event! In any case a couple of UK based members have contacted me and said they would be interested in going to Castlewellan but would prefer it to be AFTER the Scottish Bongo Bash at Brighouse Bay, Dumfries & Galloway. So the Castlewellan meeting would be over the UK Spring Bank Holiday weekend of 25th May. I have tried contacting the Park Ranger by email, letter and phone but have had no response. Reviews on Trip Advisor indicate that it is difficult to contact him/her. But I assume there would not be any objection to a small group turning up. It's probably best for people to make their own arrangements. I wouldn't be able to go as we will be making arrangements for the main UK National Bash. To publicise this event I will do the following. 1. Start a separate discussion here on the Bongo Fury Forum, in both the "Fancy Meeting Up" and "Ireland" sections. 2. 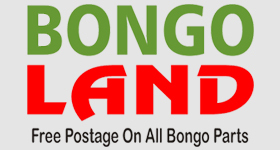 Post details in both the "News" and "Rallies/Meetings" sections on the main Bongo Fury website. 3. Mention the meeting in the next monthly email update to club members. 5. Post on various Facebook groups including the Ireland group. If anyone else has any other ideas where it can be publicised, let us know!